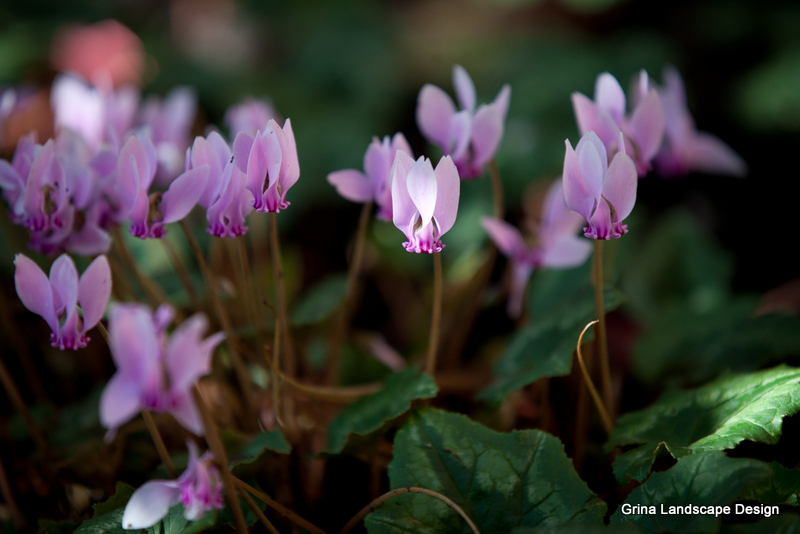 Grina Landscape Design handles commercial and HOA property renovation work as well. Public garden areas offer unique challenges. 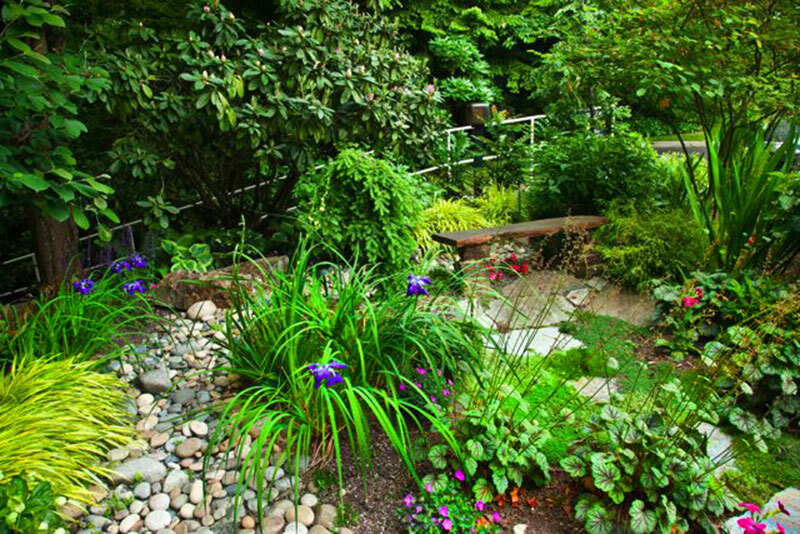 We are experienced in designing areas that hold up to extensive public use and incorporate durable, water wise and attractive plant material. Our clients have included an office park, restaurant, dental office and a number of Home Owner Association entrances and common areas. 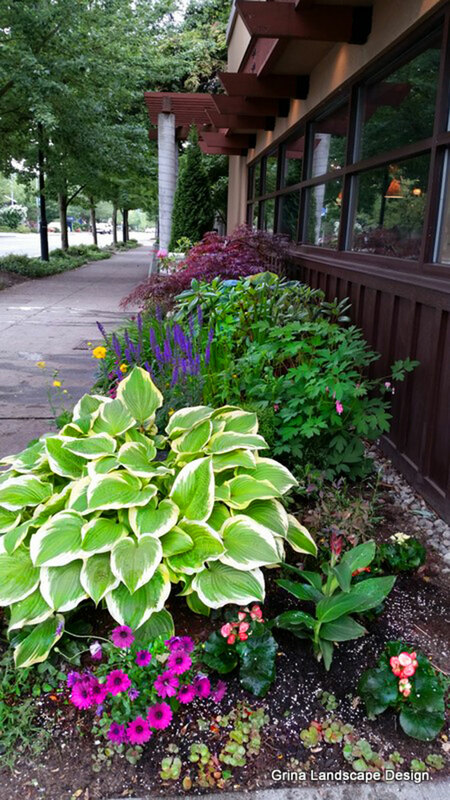 A once ignored entrance to a popular restaurant now pops with color throughout the summer. 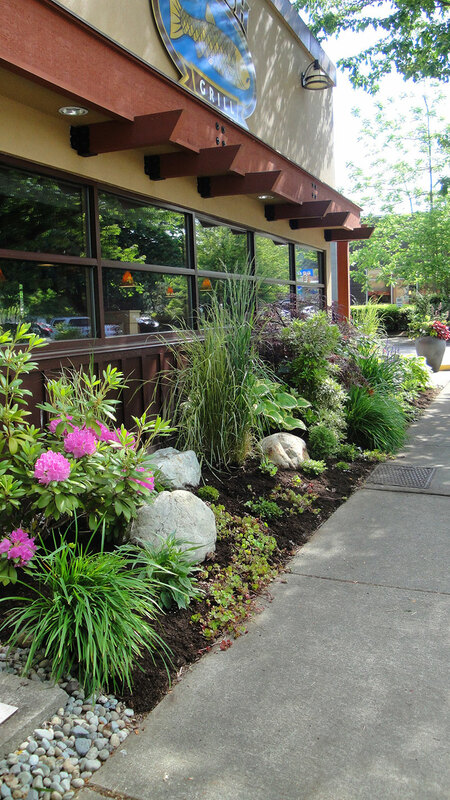 An overgrown, corner parking lot “landscape bed” was transformed into an inviting garden rare on a commercial property. 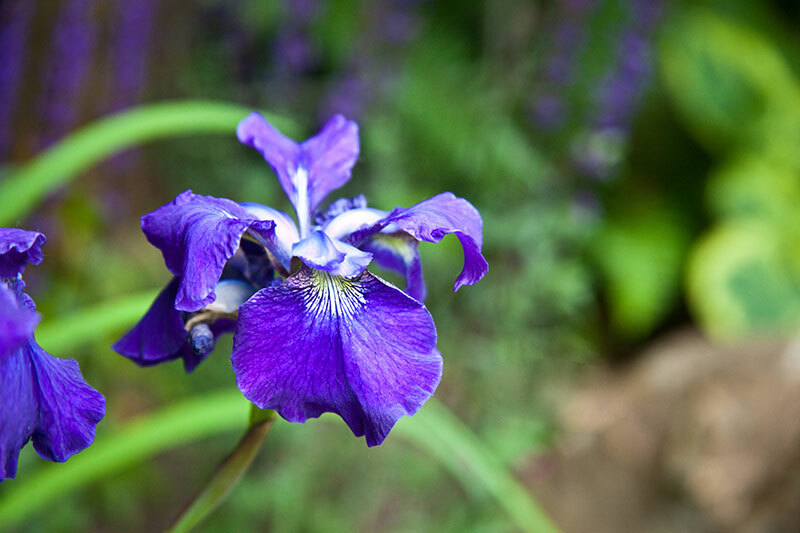 Patients enjoy their view of the garden as it moves through the seasons. 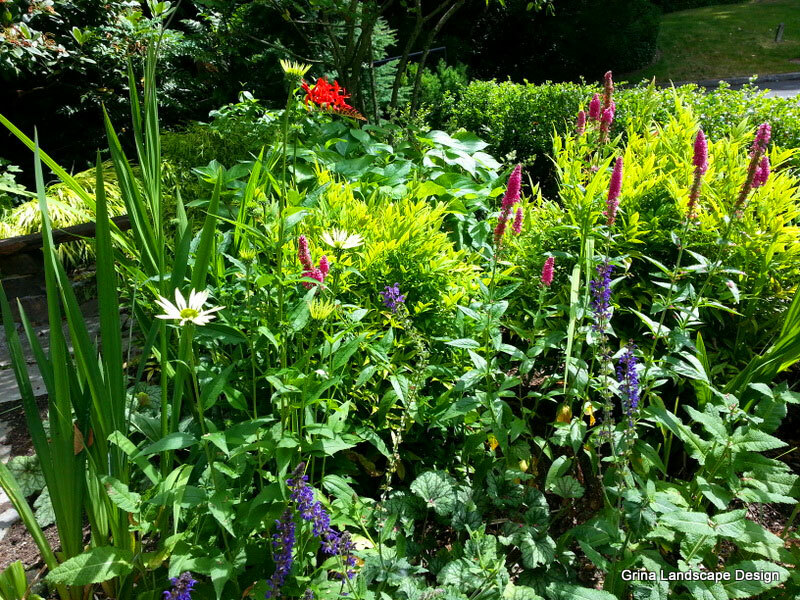 This same garden was designed to attract wildlife by providing water, food and shelter. 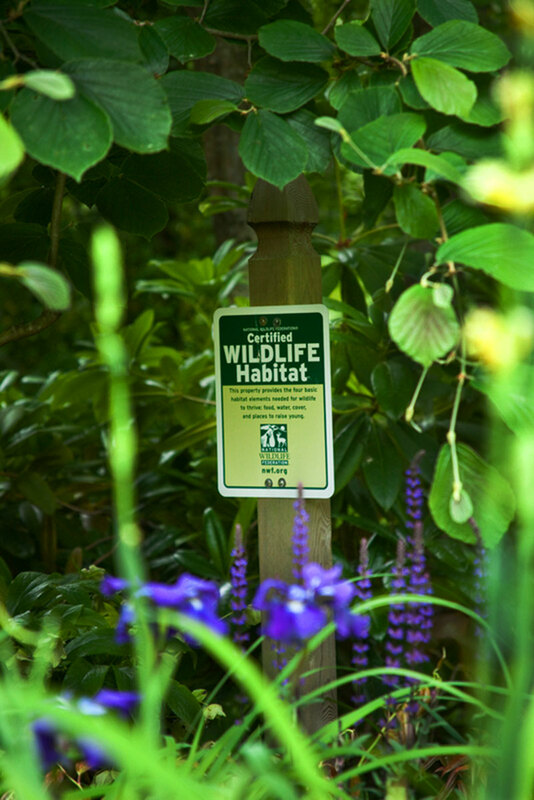 It is designated as a certified “Backyard Wildlife Habitat” by the National Wildlife Federation adding extra interest for the garden visitors. 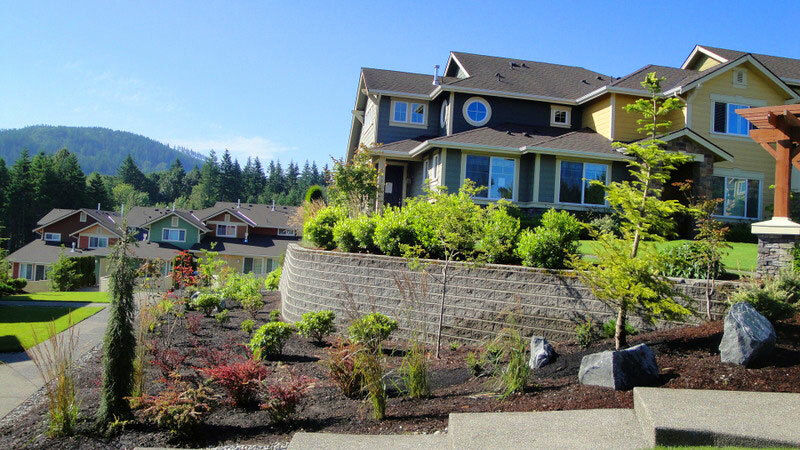 This HOA common area was updated with low maintenance plantings suitable for this windy, cold location. 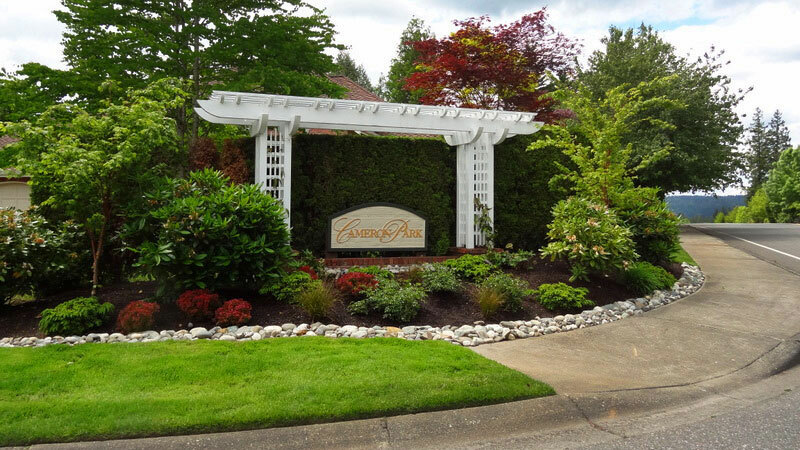 Updated plantings of the proper scale frame this neighborhood entrance and compliment the community sign and existing arbor. Drain rock along the bed edge hides drainpipe that directs water runoff away from the sidewalk.